David has had over 30 years experience in the Financial Services Sector. In 1994 he joined Sovereign and spent the last 23 years as their Sales Director. David’s Professional career has included Directorships with Sovereign, ASB Group Investments, Colonial Master Services Franchise Trust, Manchester Unity, Moana House Retirement Village. David has been a part time resident of Whangamata for over 30 years and 3 years ago made the long term dream to live here permanent. David is married to Julie with 4 Adult children and 1 Grandchild. Davids interests include Boating,Fishing, Golf, Cycling and Travel. Paul has had over 35 years’ experience in technology and solution building for corporate clients in New Zealand with a long held ambition to enter the Real Estate business, coupled with a desire to run his own company based in the Coromandel after holidaying there over the last thirty years. This fortunately became a reality in 2017 and he is very proud to be a part of the Harcourts Coromandel Beaches Realty Group and looks forward to delivering quality service. Paul's interests include fishing, golf, tramping, traveling and entertaining family and friends. 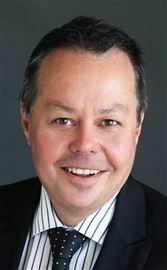 Tony is one of New Zealand's most experienced auction practitioners and Real Estate professionals. His sales track record and auction success have made him a household name in the highly competitive North Shore Market. Now in Tairua on the Coromandel, Tony is an authority you'll want to turn to when it is time to move. I was born, bred and educated in Te Aroha. I lived on a farm with my parents, 5 brothers and 3 sisters. On leaving school I spent 10 years working in the Wairarapa, contract shearing and Fencing. Then Back to the Waikato I went to sharemilk for 7 years. This led me to purchase a farm near Morrinsville where we set up a horse stud, breeding and rearing race horses for the next 10 years! After the 1987 share crash we sold up and went to live in Tairua. 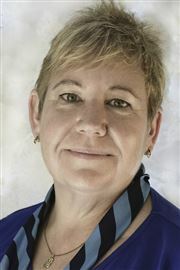 I Joined the Harcourts Team in 1995 and have been working in the industry ever since. I am upfront and honest with people, which has served me well with a lot of repeat business over the years. I’m married to Jennifer who I Have 3 children with, & now 6 wonderful grandchildren. Graham Beare I have worked in Real Estate since 2005 and have enjoyed the association with clients since then and have given them the upmost service. 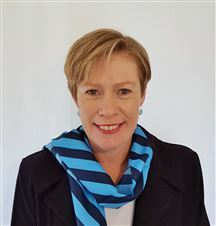 I started with Tairua Real Estate and continued to work with the company until with my wife Jen, Helen Larsen, Marie Osborn purchased the business off Gill McNabb in March 2015 now called Harcourts - Tairua Realty Ltd. It has been a pleasure working with our team Clive Mosen, Greg Dickie, and Cathie Geard as our receptionist and new Sales Consultant and Jen as Branch Manager. We have just now sold out our share to Dave and Paul with a new name of Harcourts Corromandel Beaches Realty Ltd so nothing will really change. It is with our team efforts that we are a successful real estate company in today's buoyant market. I have now gained the Ruby pin under Harcourts for selling and recently have gained the Bronze Achievment Award for the last quarter in the Central area. Previously before entering the real estate business we had our own cabinetmaking business in Hawera which we started in 1974 and retired from that in 2007. Having my cabinetmaking/building background, am able to give ideas to our purchasers who are wanting to do alterations or renovations to the homes that they are thinking of buying if requested. My other interests beside Real Estate are Golf, Bowls Fishing and Gardening. I was involved in the Hawera Lions Club which I was president and later was elected on the board for the Cabinet for our district 202D. I was president of the Hawera Golf Club and have represented the Hawera Golf Club in the penant team and played in the N.Z. Freyberg Provincial Team for Taranaki. I also won the South Taranaki Golf Club Championship several times being my first when I was 18. I was a member of the Eagles golf in Taranaki. Tairua is a great place to live with a great community. Overall I enjoy meeting new clients to allow them to achieve their goals in either selling or purchasing real estate and giving the best service that I can provide. Greg has spent 30+ years in the printing industry supply end. 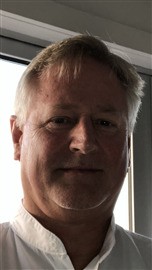 He has worked for multi-national companies such as 3M, Dupont, Coates NZ and Heidelberg (printing equipment) and in his last 10 years represented Dupont printing products via his company Graphcom. For the past 10 years he worked for Bayleys Realty Group covering Hahei, Cooks Beach and Hot Water beach. In Jan 2016 he made the move to Harcourts Tairua covering the above area plus Tairua. Greg is married with 3 daughters and 5 grandchildren, his interests are golf, fishing, cars and wine tasting along with good food. I have worked with Tairua Real Estate Ltd since 2003 and have continued to work in the real estate industry since then. I gained my Branch Manager's License in 2012. Together with my husband Graham Beare and with the Principal Helen Larsen and Marie Osborn we purchased Tairua Real Estate Ltd in February 2015, and joined Harcourts - Tairua Realty Ltd. MREINZ. We have sold the business in June 2017 to Paul Prouse & David Haak and together they have purchased Whangamata, Tairua and Whitianga branches. They have named their company Coromandel Beaches Realty Ltd. They now have purchased Pauanui and Coromandel Branches Prior to my real estate career, we had a Cabinetmaking business in Hawera, which we owned from 1975 till 2006. I helped Graham in the office and started a Gift Shop adjacent to the Workshop. When we moved up to Tairua in 1998 we transferred the Gift Shop to Tairua and called it"Jen's" and worked in the shop until 2003. In Hawera we owned a 12 acre Lifestyle Block which we exported asparagus from. On the land we had a large 2 1/2 acre garden which I had open to the public for 8 years in the Taranaki Rhododendron Garden Festival in Hawera, Taranaki. I was treasurer of the Hawera Golf Club for 2 years and my husband Graham was President. My other interests are Fishing, Travelling, Swimming, and Bowls. We have three children, who are all now married and 5 Grandchildren where they all live in New Plymouth. My other interests are Fishing, Gardening and Travelling, Swimming, Bowls and Golf. I have gained my Ruby Pin for Sales and awarded the Bronze award for the months April to June 2017 We’ve lived now 20 years in Tairua and met many wonderful people, in that time. Tairua has so much to offer and we really enjoy working in the Real Estate which is a very exciting career. My name is Philippa Evans, I live in Tairua in the Coromandel. I have lived in Tairua for 16 years, with my husband Simon and our two boys, Harry and Jake. Also our wee dog Lola. I grew up in Wellsford and moved to Auckland to become a Primary School Teacher. I taught in a variety of schools on the North Shore for seven years, before starting our family. When our first son was born, we decided to move from the city to Tairua, for a more relaxed lifestyle, and to a smaller friendlier community. Over the past 16 years, we have been and continue to be involved in our community by joining organisations such as Playcentre, Tairua School Wine and Food festival committee, the Rugby club to name a few. During our time in Tairua, I have taught in the local schools, both fulltime and part time. So after 27 years in Education, I felt ready for a change. I was drawn to Real Estate as it fits with my interests, I like houses and people. I enjoy looking at other people's houses, borrowing good ideas and dreaming of how the homes could be more fabulous. I love talking to people and hearing their stories. Teaching has taught me many professional qualities that I believe I can transfer to my new career in Real Estate. Qualities such as integrity, relationships based on respect, active listening, organisational skills and reliability. I always present myself professional, I am keen to learn and strive to do my best. I look forward to helping you find your dream home, doer upper or achieving your investment goals. Sales & Marketing Partner to Tony White Pip specialises in writing brilliant marketing campaigns and assisting Tony to get the very best price for your property. The more interest in your property, the more buyers and hence the best price. Her feature property advertisements and public relations articles have appeared in national and local publications. You will find Pip to be friendly and approachable, with a can-do attitude. If you are buying or selling, Pip will work hard to ensure the experience is positive and stress free. 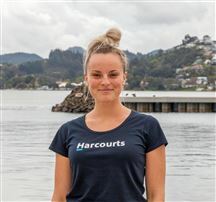 Bea and her husband moved to Whitianga in 2017. Her previous background in Property Management was quickly recognized and she was recruited to work in our Property Management Team. Her strengths are her no nonsense approach to dealing with issues and people. She is adaptable, personable and efficient. My name is Molly Bea Aldrich, I am 21 years old currently living in Tairua on the Coromandel Peninsula. I enjoy a very fit and healthy lifestyle. Outside of my office administration job at our Tairua Office, I am a private personal trainer. I absolutely love both jobs, as it enables me to interact with all different people which is great! I love sharing my knowledge and helping people achieve their goals. I was born in Kent, in the UK and grew up there until I was 7 when my family decided to emigrate to New Zealand! We couldn’t have made a better choice; we are so in love with our little town. Myself as well as my mum, dad and two brothers are all lovers of the outdoors, especially the ocean; Spending most our time swimming & surfing. I love being a part of the Real Estate Community, I’ve learnt so much since starting out here in October 2017. I hope to continue developing knowledge here and can’t wait to see what the future holds for out little Tairua Team! The View will sell this one! This Properpty Has Been Sold! Paku Beach House - New Price! Vendors Motivated to Sell ! Need a project at the beach? A Home with Focus ! Oh, So Close To The Beach !